The gleam in your eyes is so familiar a gleam. And I know it’s true that visions are ______ all they seem. I won't say I'm in love. Ohhh, isn't this amazing? It's my fav'rite part because...you'll see. Here's where she meets __________. But she won't discover that it's him 'til chapter _____. Yes, I know I'm just an outcast. I shouldn't _______ you. Still I see your face and wonder. Were you once an outcast too? One song, I have but one song. One song, only for you. One heart, tenderly beating. Ever _________, constant and true. Riff raff, ________, I don't buy that. If only they'd look closer. Would they see a poor boy? No-siree... They'd find out, there's so much more to me. Sha-la-la-la-la-la... Don’t be scared. You got the _______ prepared. Go on and kiss the girl.
. We're only saying that love's a force that's powerful and strange. We all must serve our Emperor. Who guards us from the Huns. A man by bearing _______. A girl by bearing _______. You come from two long lines of royalty. but your _____ are low. You need to marry a lil' honey whose daddy got dough! No one saying "Do this." No one saying "Stop that." Free to run around all day! Tell everybody I'm on my way. And I'm loving every step I take. With the sun ______ down, yes I'm on my way. And I can't keep this _____ off my face. Salagadoola means ___________! But the thingmabob that does the job is bibbidi-bobbidi-boo! 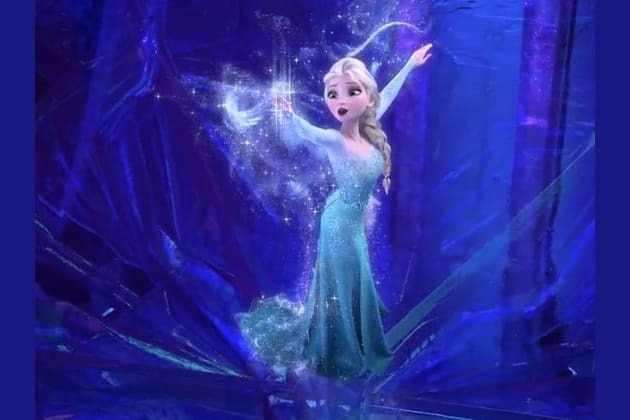 Knowing the lyrics to "Let It Go" by heart will not do you any good on this quiz. See how well do you remember these Disney classics. Do you have what it takes to call yourself a true Disney fan? Maybe all these years of singing in the shower would pay off!